Excerpted and cross-posted from The New York Times. This fall, millions of Americans may head to the polls only to find their names aren’t on voter registration lists anymore. These voters may have to cast provisional ballots. Or worse, they could be turned away from the polls altogether. The cause? Voter purges — an often-flawed method of cleaning up voter registration lists by deleting names from voter rolls. Purges, of course, aren’t necessarily a bad thing. State and local election officials have a real need to ensure voting lists are accurate and up-to-date. During the course of a lifetime, people move. Sometimes people change their names. And inevitably, people die. Voter rolls should reflect those changes. But purges are a growing threat that we’ve found may imperil the right to vote for millions of Americans in the midterm elections in November. 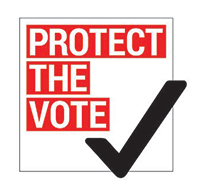 In the past decade, attacks on the vote have been treacherous: discriminatory voter ID laws, cutbacks in early voting and other complications that emerged from bad laws or policies formulated weeks, months or even years before Election Day. For the most part, we could see those attacks coming, because of public debate in state legislatures or high-profile lawsuits challenging these bad policies in courthouses across the country. But the threat landscape has grown. Our research shows that state and local processes to remove supposedly ineligible people from voter rolls are too often based on bad information — like “ineligible” lists that contain the names of eligible voters, or matching processes that confuse two different people for the same one. Yet purge rates are on the rise across the country, and particularly in a cluster of Southern states no longer under certain protections of the Voting Rights Act. And unlike anti-voter legislation, bad purges often happen in an office with the stroke of keyboard — meaning that voters knocked off the rolls may not realize what’s happened until it’s too late. Over the past 12 months, our team of researchers and attorneys has pored over data from 6,600 cities, towns and counties across the country and found the median rate of purging across the country has risen from 6.2 percent to 7.8 percent since 2008. That may seem like a small jump, but it’s statistically significant and cannot be explained by population growth. It amounts to about four million more people being purged. We attribute much of that rise to ballooning purge rates in many of the places once subject to the preclearance section of the Voting Rights Act that protected against discrimination by requiring places with a troubled history to seek approval from the federal government or courts before they could make changes to voting laws. In 2013, the Supreme Court knocked down that section of the Voting Rights Act, and our analysis shows that since then, purge rates in places that used to have to go through preclearance have ramped up. In fact, two million more people were booted from registration lists between 2012 and 2016 in jurisdictions covered by preclearance than would have been kicked off if purge rates in those areas continued at the same rate as jurisdictions that weren’t subject to preclearance. Stay on top of the latest news and learn what you can do to make a difference by signing upfor Brennan Center's INSIDER newsletter.